How well do you know AVAST? avast! Antivirus protects you every day, but what do you know about the company, history, and people behind the most trusted antivirus in the world? 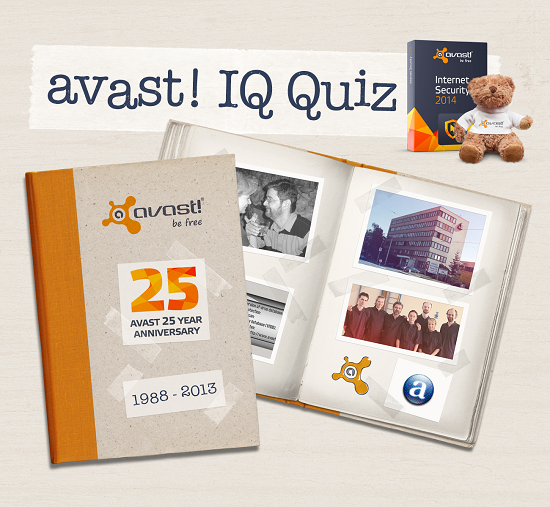 To celebrate our 25th anniversary, we offer you a playful AVAST IQ quiz and the chance to win great prizes! You must answer ALL of them. Tell us why you recommend avast! Win licenses and teddy bears! Play every day, invite your friends, have fun, and win great prizes!